Will Justin Bieber and One Direction Make Music Together? When you look at teenage rooms, you can almost everywhere see Justin Bieber or One Direction posters, especially in girls’ rooms. 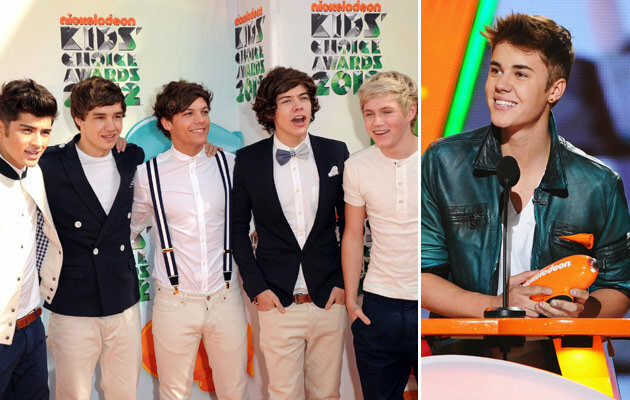 Even though media reports speculate over a possible rivalry between these two teenage pop phenomenons, Justin Bieber and One Direction will maybe even make music together! Justin Bieber says that all the boys from One Direction and their managers have to do is – ask! So, in case of this collaboration, I think even more girls will be hospitalized on their concerts! Justin Bieber’s album dropped on June 18, so he will be certainly busy promoting it this summer all around the world, although he has already started performing free concerts overseas. In Norway nearly fifty girls had to be hospitalized because of intensive fan hysteria. On the other hand, British boy band One Direction began their America tour in May 2012 and this past weekend they performed two southern California shows. During Much Music Awards interview, Justin Bieber said also that One Direction boys and he hung out and at his house they all together chilled out by the pool. Seems like all the speculations over their rivalry are not true and that these guys will rock together for their fans all around the globe!